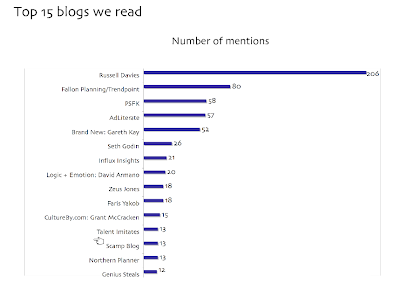 For anybody interested, here are some of the blogs that agency planners read. Taken from a survey of almost 800 planners, from UK and the US. Found via Fallon. More results from the 2008 Planners Survey here.